Create a relaxed room for all the family – on a family-friendly budget. Moving house can be expensive, leaving you with little money to do up your new pad. 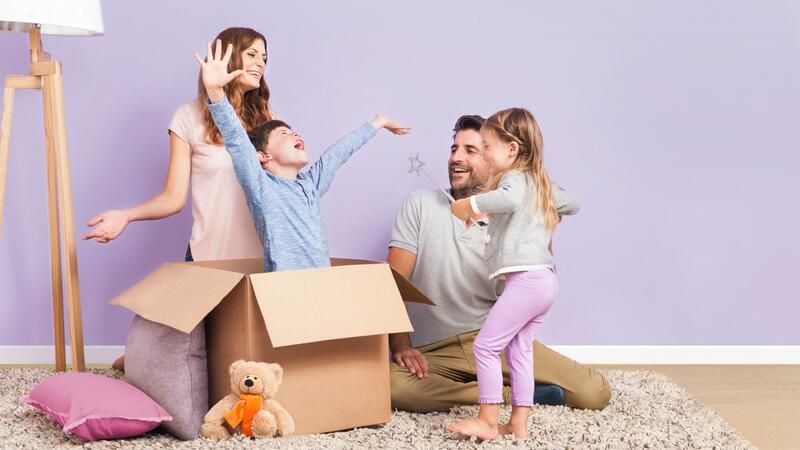 But most people who have just moved are dying to get decorating straight away, especially if they have a family to settle into their new space. According to our global survey, 60% of people say that their lounge is right at the top of their to-do list when they move home, so we’ve come up with six ways to help you create a family room you’ll love – all using easy and affordable paint ideas. Can’t afford to paint the whole room? Try a bit of carefully planned colour blocking instead. 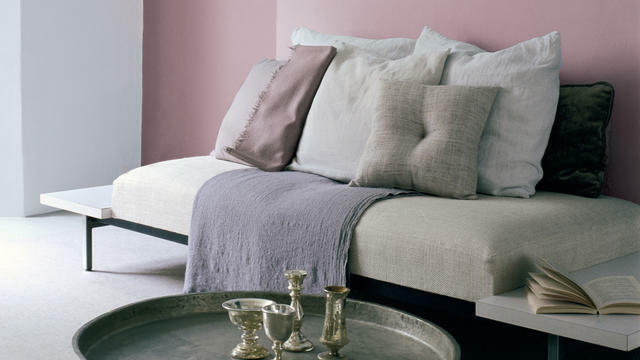 You could, for example, paint one colour on the wall behind your sofa, then pick a tonal colour for the walls around your windows, and another for any alcoves in the room. Varying shades of teal work really well for this. 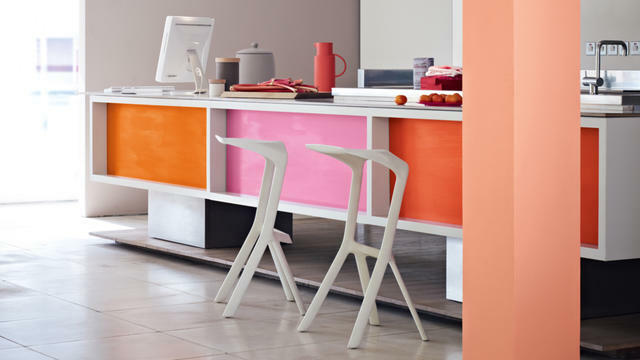 This is a fun way to inject a bit of vibrancy into a plain white room. Go for bold Dulux paint colours on your door frames then paint the door in a complementary colour – for example, a blue frame with an orange door, or an indigo frame with a yellow door. Kids will love the bright colours and costs are kept low because you don’t have much surface area to cover. If you have your heart set on a particular Dulux colour but can’t stretch to using it on your walls, you can create an equally striking effect by painting your window and door frames instead. Go for a darker shade on your frames than on your walls and you’ll have the added bonus of making your room feel larger. If you have built-in bookcases or floating shelves, try painting these in a bright shade to bring your lounge decor to life. You could even paint each shelf a different Dulux colour for a playful, rainbow effect, or choose subtly different shades for a harmonious look. 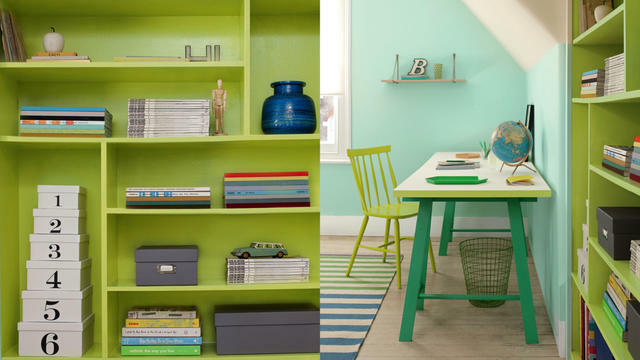 Complete the look by colour coding your books. Colour can really lift your mood. Bright hues have the most energising effect, especially if you go for warm tones like yellows and oranges. If you’re in need of a bit of calm after a stressful move, pale greens and violets will create a soothing home decor. For a designer-style finishing touch, use a few inexpensive accessories, such as scatter cushions, colourful pottery or painted picture frames, to pick out the colour of your paint and draw the home decor together.